Pennsylvania's famous groundhog, which I have mixed feeling about, (okay I hate him. ), predicted six more weeks of Winter for us. For as long as I can remember, this rodent predicted this same doomsday message, sometimes when there was no possible way he saw his shadow without artificial light assisting. Alas, I'm still looking towards Spring, it's a promise that always comes to be! 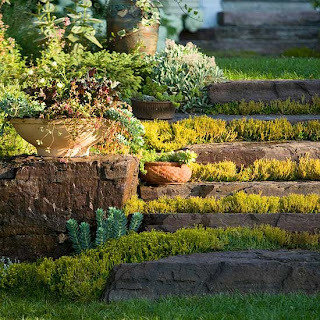 I'm excited about the garden trends for 2012. Some are tried and true, but forgotten for bigger and better. However, like always the tried and true win to rise again. Here's some trends from various sources for this year's gardening season. After all, most of us are not moguls who need spanning outdoor party areas for hundreds of people. 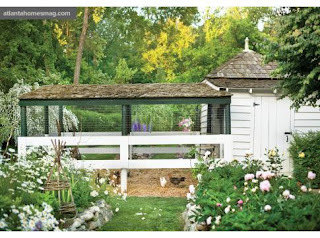 Be creative in creating "rooms" out of doors. Even if your outdoor living area is large, more intimate spaces for a variety of uses is cozier. 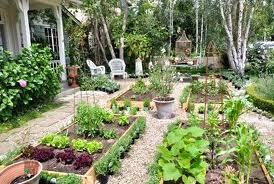 No matter where you live home food gardens are possible. 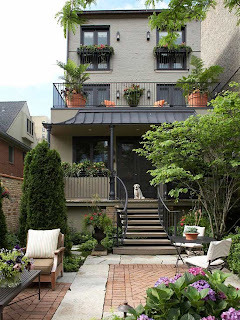 Really...rooftops, containers, raised beds. And how about the freshness and color possibilities? There is truly nothing like spring lettuces grown from seed! 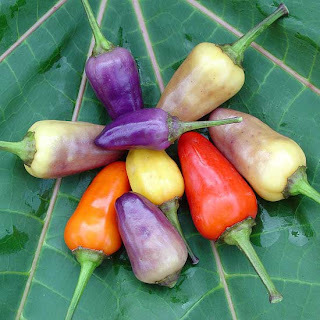 And the most amazing mini crops can be made more interesting when growing from heirloom seeds. Who would have imagined that the color "black" would be a trend color for our garden? Breathe... (it's okay - no this doesn't refer to Morticia's garden. 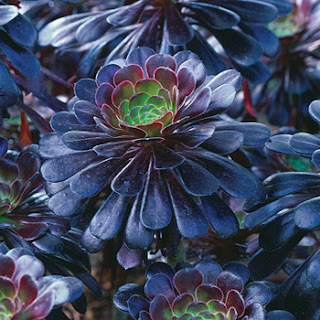 Black is used loosely to refer to the darkest blooms available to gardeners. Like this Aeonium Arboreum Zwartkop below. The second hottest color for Spring 2012? Orange. And what a contrast with lush greens and "blacks" - very sophisticated. Planting berry plants, fragrant flowers, and keeping bird seed a plenty will create a wildlife haven that is beneficial for both you and the birds and butterflies. This wildlife helps control insects and pollinates flowers. Yeah - a win for both you and the birds and butterflies. 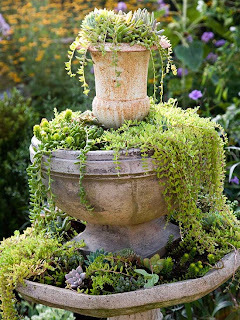 When choosing your plants for your landscape and containers - think texture. It is the simplest of plants that create so much texture -- "drama queen" should be their species name. 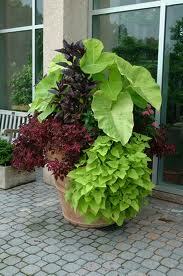 Think Elephant Ear, Waxed Begonia, and any grasses. Not a single flowering plant in the container shown above but...Wow! 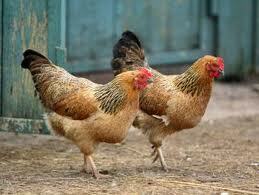 Urban farming has grown in popularity over the last few years. But if you wish to pursue this trend, most important - do your research. This is not a novelty. I have to say the chicken coops are getting quite swank. Garden Trend No. 7 - Succulent Love! If you haven't visited the succulent section of your local garden center you won't understand until you do. For those of us who have succulent love, we understand that drooling is possible. And yes, we even catch ourselves just gazing (okay gawking) at these morsels of coolness. I heard it - the groaning from those not so green thumbs. 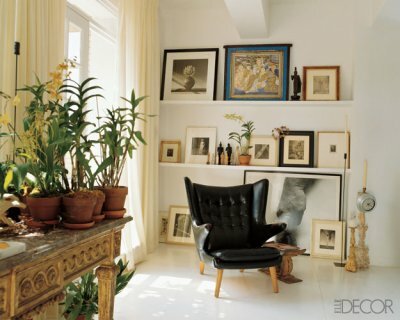 But indoor plantings actually clean the toxins from the air inside our homes. 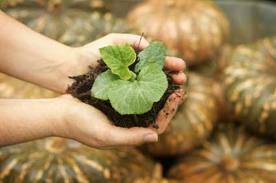 And there are varieties that are friendly to those without a green thumb.